Just in case anybody thinks that the failure of the PA module in the FT-90 is unrepairable it is possible to retrofit a later MOSfet module with similar dimensions and adjust the bias arrangements. Seems like a worthy idea. I think, in general, VHF events and contests tend to be local in nature so it is difficult to craft rules/guidelines for all locations. Yes, the more densely populated areas will tend to have an advantage but it can still be a fun activity for all. Finding a Yaesu FT-90 is the hard bit. They’re like rocking horse manure these days and make good money. I picked one up about 5 years ago and It’s hard to believe this rig, which is not much bigger than a packet of cigarettes, can put out 50 Watts on 2m. Even a couple of 7Ah lead acids in parallel wouldn’t power the beast past a couple of QSO’s! You’ve got me thinking about this. I can see using my FT-817 and a small linear amplifier. A bit larger kit to carry but it would support CW/SSB/FM. Do you have a recommendation on amplifier? I have considered doing this also and found two amps at a good price point. First is the Mirage B34G that does both FM and SSB and gives 35 watts for about 4 or so in. Second is the RM Italy amp shown in the link, which is both modes and about 60 watts for 4 in at a similar price to the MFJ. I’d say the Mirage may be a better fit as I think 35W is about right for battery power. Also it has a preamp built-in…that could help the FT-817 rx sensitivity. I don’t know much about RM Italy products. I purchased one of these and used it on a few SOTA activations. It seems to work well. Now I’ve got an easy-deployable dualband antenna. Thanks! I continue to use this mini-transceiver on 2m fm and have been impressed with the results. Through multiple activations, it is clear that the extra power makes a substantial difference on the margin. This traces back to the fact that most of the chaser stations are running 30 to 50W mobile transceivers. I may hear them but they may not hear me with just a 5W handheld. And, yes, improving the antenna is always a good idea. Do that in addition. 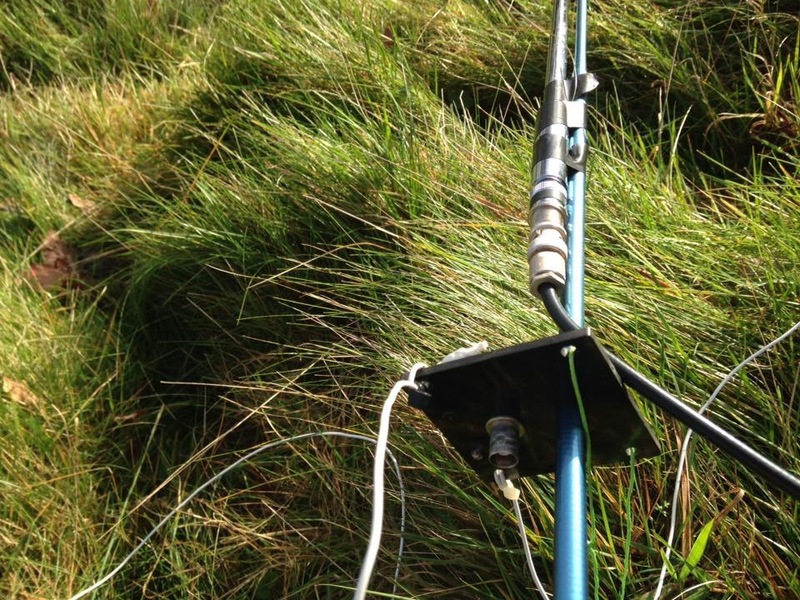 I can also recommend this antenna … it’s now my preferred option when activating summits requiring ‘exertion’. The build quality isn’t great so you have to treat it kindly, but the performance is surprisingly good. Yes - you are right. They work well and will last if they are not mishandled. I had to purchase GI4ONL a new RH770 the first time he lent his to me. Cost of replacement £7.50. The aerial was so effective and easy to deploy I bought 3. My advice is that if you attach it to a handheld and you telescope the aerial fully out don’t stand up the radio on the ground and leave it. If you catch it with your foot and it falls over the top section will break off and cannot be repaired. The metal in the top sections is quite thin and cannot stand any sort of impact. Fortunately though if imported from HK / China from the usual auction site they are cheap enough to replace. Bought my RH-770 years ago, have used it countless times! Today it was my go to horizontal antenna when in a rush! Held the 817 flat and worked my friend Craig!! I have also modded the HF antenna centre to have a BNC coupler on it, so that the HF coax can be connected to it and then add the RH-770 to the top of the pole!! 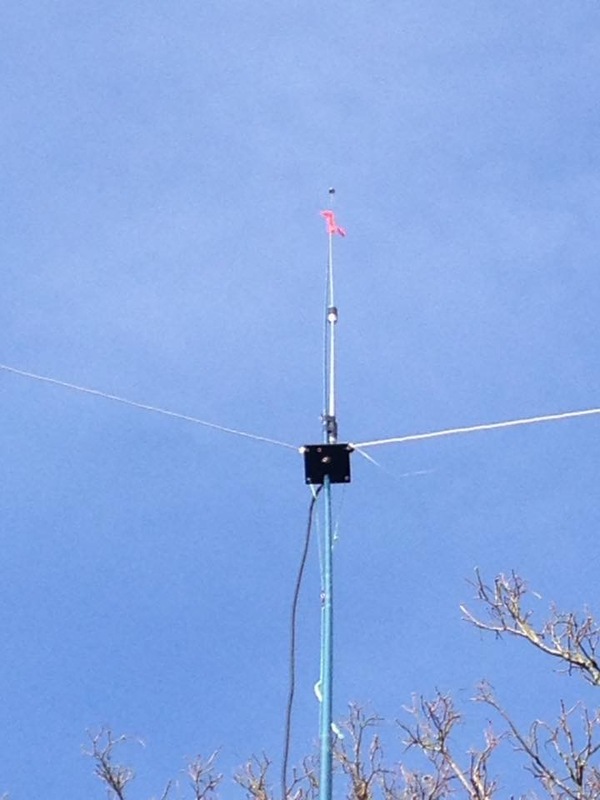 Here it is taped on, have since put that chassis mount BNC into the dipole centre!! Bad news: The Tytera TH-8600 has gone intermittent on both transmit and receive. Very frustrating. This radio NOT RECOMMENDED. Good news: I free’d up an FT-90 that I had installed elsewhere, so I’ll give that a try for SOTA. 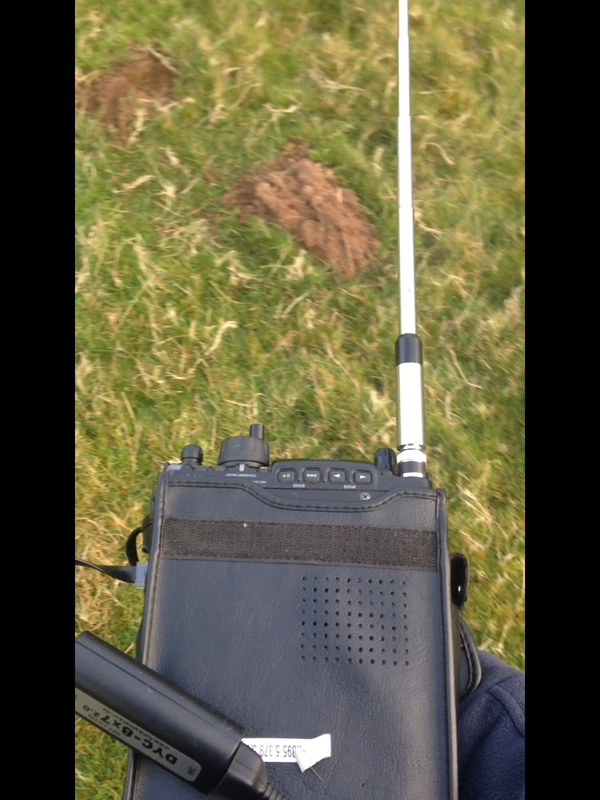 Here’s the FT-90 in use. Very nice. I tested several VHF radios before deciding to use the HTX-202 or the Icom IC-2A for 2m SOTA activations. The Baofeng and other Chinese radios that use the SDR chip for a receiver are absolutely horrendous for SOTA work. That includes the mobile radios as well. Just last weekend, there was a plethora of 2m SOTA activity. One new SOTA OP was on Mt. 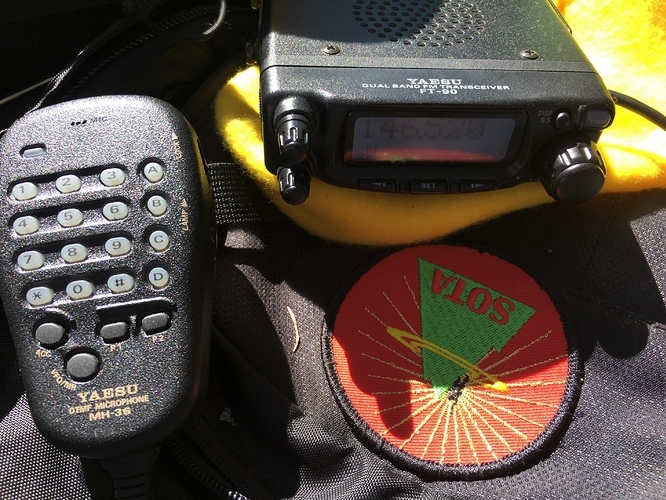 Diablo with a Chinese radio calling “CQ SOTA” over and over. He had dozens of stations trying to come back to him, and he never heard any of them. Even though he was full scale on my Icom 706, he could not hear me either. Finally, I switched to the phased 14 element beams and turned on the legal limit amplifier (giving me 150,000 watts ERP) and called him. He finally heard me, though he said I was “scratchy”. I asked what kind of radio he was running. He told me (I forgot the exact brand, but it was one of the Chinese radios). I told him there were dozens of stations, including other SOTA summits trying to reach him for summit to summit, but he couldn’t hear anyone. Eventually, another SOTA OP went to the same summit with a better HT radio and activated it correctly. So, I beg of you… PLEASE don’t take a cheap radio that uses a SDR chip for a receiver up to a summit for SOTA. All you do is clog up the frequency calling CQ when your honorable radio is unable to hear the responses. On another note, the FT-90 has a fairly tight receiver and should do well for SOTA. I have an FT-90 and it tested very well when I was testing various radios’ receivers for overload and off frequency performance. Talking about receive intermod, I was suprised to see the FT2D did better than the venerable FT-60. This is from an activation last month at a FM broadcast site. The FT2D is doing fine, no intermod breaks trough, I’ve actually had about 10 OSQs from there without any sign of desense.